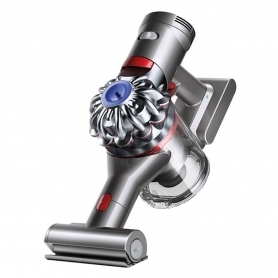 Offering the strongest suction of any cordless handheld vacuum, Dyson’s V7 Trigger is the ideal cleaner for your home. Featuring the latest technology and features, you’ll always be able to keep your home and car spotless. 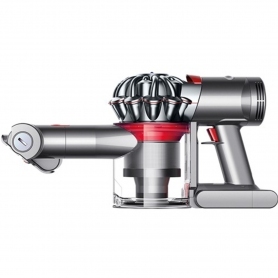 To give you the best cleaning results, Dyson has equipped the V7TRIGGER with their powerful V7 digital motor, spinning up to 110,000 rpm. You’ll also find two-tier radial cyclone technology, which creates strong, centrifugal forces with 15 small cyclones. 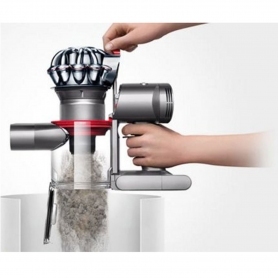 Also, the easy access conical filters make cleaning your vacuum a breeze. There’s even a hygienic bin emptying feature, so you won’t ever need to touch the caught dirt – a great family-friendly design. 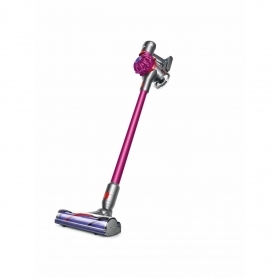 Weighing just 1.71 kg, this Dyson handheld cleaner is ideal for jobs high and low. You’ll also love the iron and sprayed nickel ergonomic design, making the V7 Trigger a stylish and essential addition to your home. Use the soft touch trigger to power up your Dyson V7 vacuum and choose between two different power levels. Select the Powerful mode for up to 30 minutes of fade-free suction – ideal for everyday cleaning tasks. Or, choose the MAX mode for six minutes of extra power for those tougher jobs. Crevice Tool: Specially designed for precise cleaning around edges and narrow gaps. Mini Motorised Head: Perfect for cleaning mattresses or removing dirt and hair in tight spaces. Combination Tool: Ideal for switching between surfaces, the two tools in one design makes vacuuming a breeze. 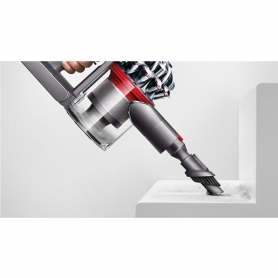 Taking only three and a half hours to charge fully, Dyson’s nickel manganese cobalt battery is ideal for the busiest of homes and families. 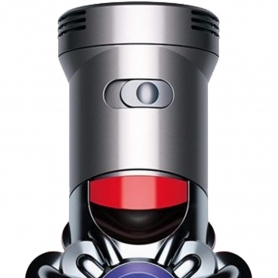 Plus, you can easily keep an eye on your vacuum’s charge with the handy LED battery indicator. Get a helping hand at home with Dyson’s powerful and versatile V7 handheld vacuum – it’s ideal for busy homes and families. Buy your V7TRIGGER today.